Washington: Usually after a heart attack, the heart is unable to replace its dead cells and patients are often left with little option of another heart transplant or cell therapy that transplants heart cells into the patient’s heart. In far too many cases, however, the transplanted heart cells do not engraft well, resulting in poor recovery. One reason for the engraftment problem is the quality of the heart cells. For a typical cell therapy, heart cells are made from different stem cells, but the quality of the heart cells will vary. First author of the study that was conducted by Kyoto University, Dr. Shunsuke Funakoshi said that the cells of different maturation will be mixed and transplanted together. During the research, Funakoshi took induced pluripotent stem (iPS) cells that were reprogrammed from skin cells and made them into heart cells. Heart cells differentiated from iPS cells effectively go through all stages of development. 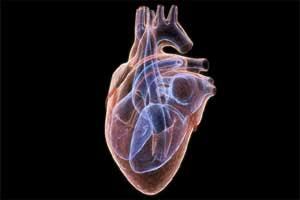 Currently, over a billion cells are needed for human heart cell therapies. Knowing which cells are best for the therapy should not only improve patient outcome, but also reduce the number of cells required, which would further reduce both the time of the preparation and invasiveness of the procedure.